Pure Dymonds Events makes it very clear to clients and potential clients just how beneficial having them as the wedding planner can be. With their experience, they can complete tasks and make decisions that would have taken you ten times as long on your own. They ask the right questions of the vendors and know how to plan an event while staying on budget. This company will take care of the logistics of the event while you direct the style without the stress of making it come together. When Antonia, the founder and head planner at Antonia Christianson Events, found her passion was wedding planning, she dived head first into the industry and quickly became a celebrity in the industry. This company has been recognized by countless publications for their event planning services, even being named one of the top destination wedding planners in the country. 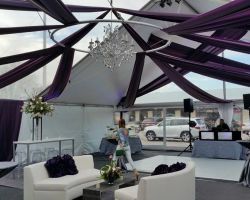 Not only will this company plan a beautiful event, but they will create something unique and perfect down to the very last detail. Lindsay, the founder and event design expert at LK Events and Design, prides herself on creating experiences. Lindsay and her team work together to ensure that you have the wedding day of your dreams and are actually able to enjoy it. They can be anything you need to make your event the best. They can plan the entire event with personalized touches; they act as the coordinators throughout the process, organizers on the big day and are your friends throughout. Every wedding and couple is unique which makes their planning needs unique as well. 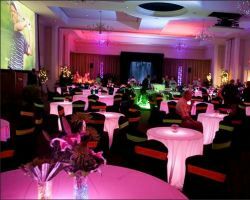 While some couples are prepared to plan and design their entire event, others are lost in the options. Whatever stage you are at having Baxter’s Creative Events helping you through your checklist can make the process much more relaxed and much easier on your wallet. The consultants at this company can make your big day as magical as you’ve always imagined, whether they design the event completely or simply organize vendors on the day. While you may be equipped and ready to plan your wedding, the benefits of having a professional planning team help you through the process are unbeatable. The consultants at Cherry Blossom Weddings will help you to create a beautiful and personalized event with as little stress as possible and while saving you more money than you thought possible. 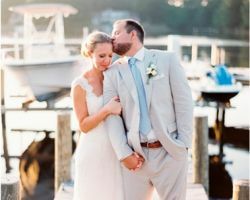 The knowledge and experience of these Virginia Beach wedding planners is well worth having on your side for the biggest day of your life. Bluff Mountain Inn is one of the most unique wedding companies in Virginia because the company is a collaboration of a team of expert wedding planners and talented local photographers. These certified wedding planners use their talents to plan beautiful local weddings that make their clients fairytale wedding dreams come true. With packages that include planning and photography, you will have the most talented vendors at your fingertips and someone to capture it all. Choosing to hire this company is a decision you will not regret. 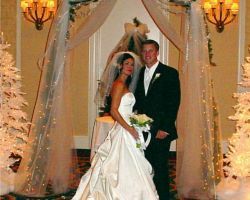 Virginia Weddings is one of the only planning companies that specialize in creating weddings that are locally authentic. Whether you want a ceremony on the beach or would like one in a lush city garden, this company can help you to make your wedding dreams become a reality. From helping you find the right vendors for your event to choosing a catering menu and a cake that you and your guests will love, this company can help you design the event from beginning to end. 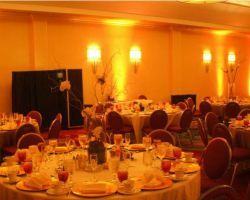 There are countless planning companies in Virginia alone that offer what seems to be personalized event planning, but Premier Inc. Events has the experience and the event success to back up their claims. For over 18 years, this company has made weddings unforgettable from the intimate ceremony to the incredible party afterwards. This company not only has the best wedding planner in Virginia Beach, VA, but they also have an expert team to execute the design and plan for the big day.